Detailed information and reviews of Oklahoma firms offering legal and financial services, accountants, insurance companies, mortgage companies and law firms. Post your requirements and receive no obligation price estimates and quotes. Home purchase - 1st home purchase valued at 82000 and 1828 sq feet. Commercial Insuarnce On 2004 Ford E - 150 Cargo Van 120 K - Need commercial insurance On (1) 2004 Ford Cargo van E - 150 120 K miles. Call me. Thank You. 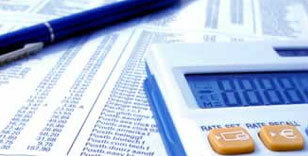 Tax Filing needs - I am looking for someone that's able to file a "Minister's" tax return. I would also like to have the former year reviewed. Thank you. Insurance Quote for New Airline in OKC, OK - Business, Liability, Workman's Comp, Aircraft. 25-30 Employees 3 Aircraft 9 Locations in OK, TX, AR, MO.